Item2013.6.36.1.002.013 - Summer cottage by English Bay in Vancouver, B.C. Item2013.6.36.1.002.015 - Lutheran Church in Surrey, B.C. Item2013.6.36.1.002.016 - Home in north Surrey, B.C. Item2013.6.36.1.002.019 - Former Sailor's Home in Vancouver, B.C. Item2013.6.36.1.002.020 - Former "Terminus Hotel" in Vancouver, B.C. Item 2013.6.36.1.002.016 - Home in north Surrey, B.C. Home in north Surrey, B.C. Photograph taken by David Davies. 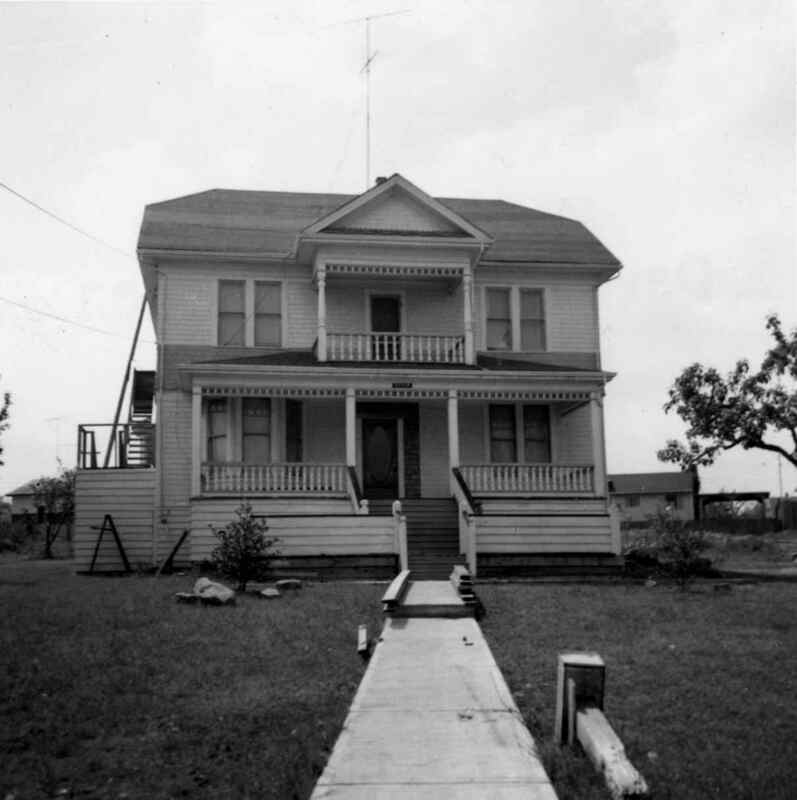 Photograph depicts an old house on 148th St. in north Surrey, about half a mile southwest of the south end of the Port Mann Bridge.